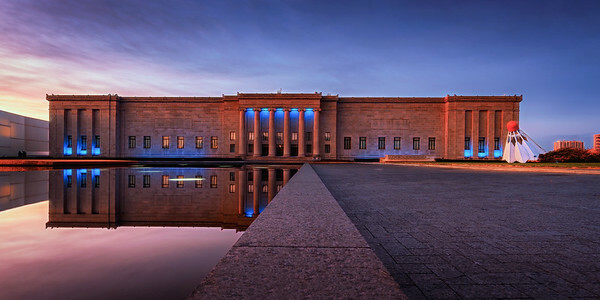 Nelson Atkins Museum of Art with the lights turned blue for the Kansas City Royals. 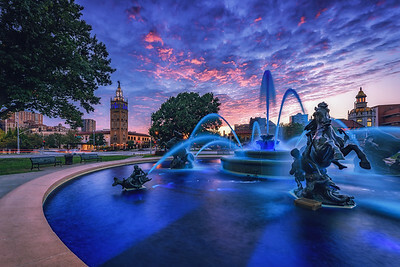 JC Nichols Memorial Fountain in Kansas City. 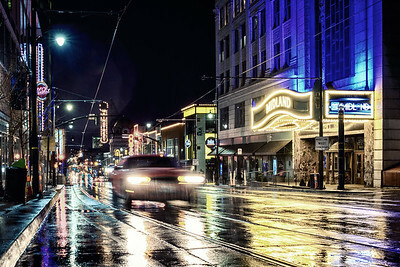 Photo taken before sunrise at the blue hour. 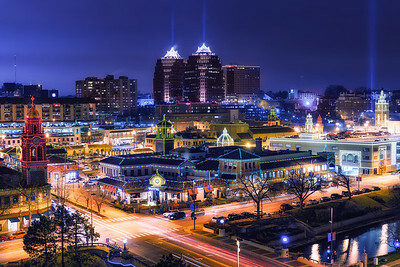 JC Nichols Fountain at the Country Club Plaza in Kansas City. 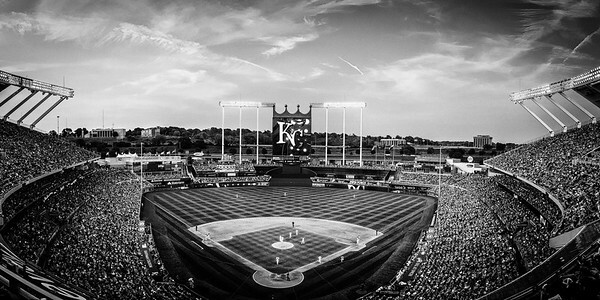 The water was dyed Royal Blue for the Royals playoff run. 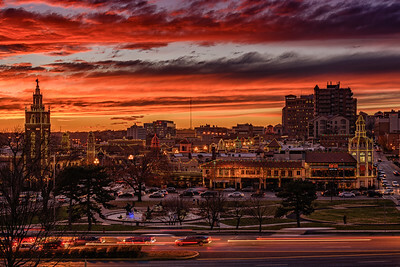 Sunset scene at the Country Club Plaza in Kansas City, MO. 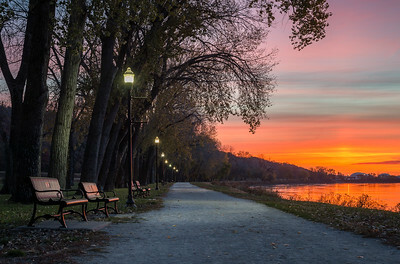 Missouri River just before sunrise. 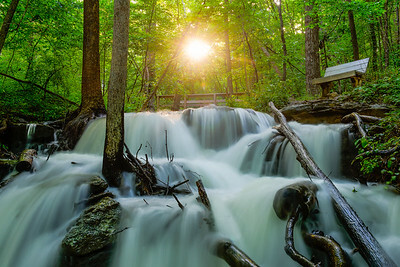 Photo taken from English Landing Park in Parkville, MO. 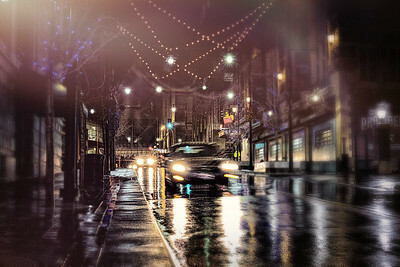 Rainy night in Kansas City made for nice reflections. 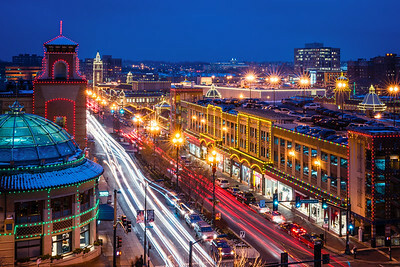 View of the Country Club Plaza from the Intercontinental Hotel in Kansas City. 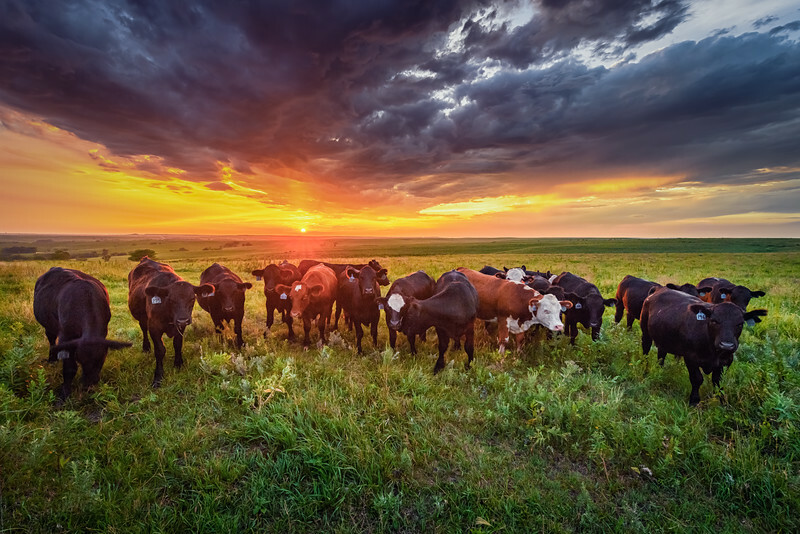 Cattle gathered around in front of a spectacular Flint Hills sunset. 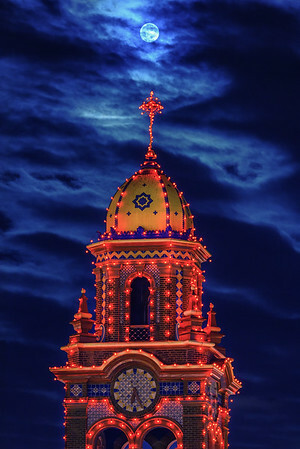 Full Moon over Country Club Plaza in Kansas City. 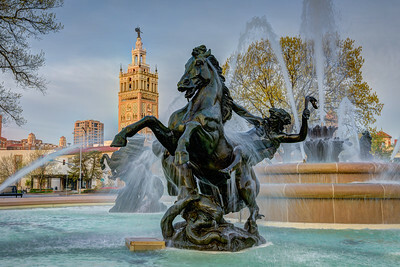 JC Nichols Memorial Fountain after being newly restored. 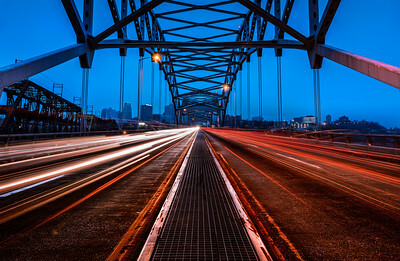 Bond Bridge just before sunrise as seen from Riverfront Park in Kansas City. 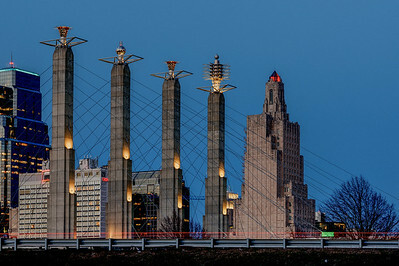 The 4 pillars of Bartle Hall lined up with the Power and Light building. 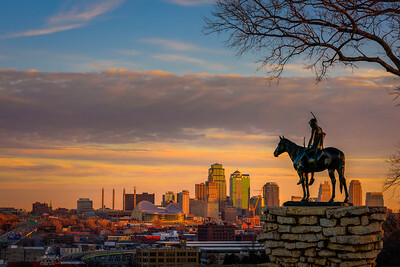 Scout statue overlooking the skyline of Kansas City just after sunrise. 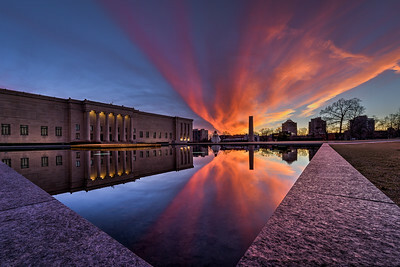 Nelson Atkins reflection pool just after sunset. 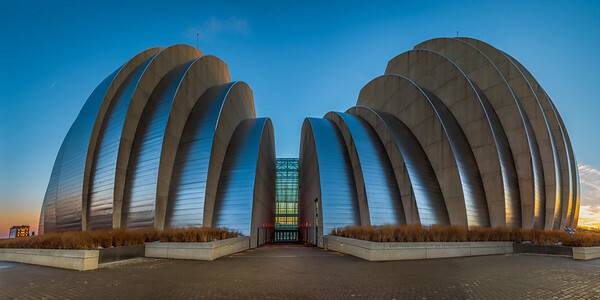 Kauffman Center for Performing Arts just before sunset. 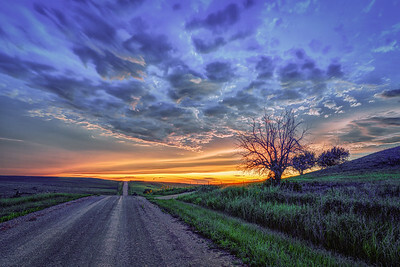 This was a 9 shot wide angle panorama stitched together. 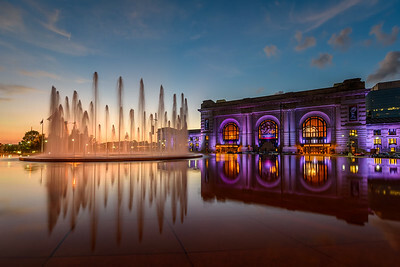 Kansas City's Union Station and fountain just after sunset. 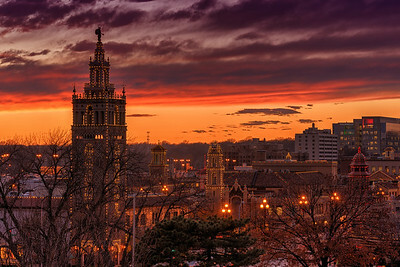 Kansas City skyline taken at the blue hour. 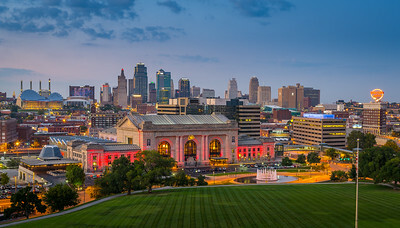 Kansas City loves their Chiefs. 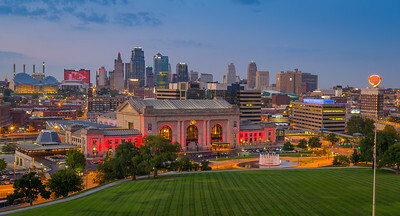 The Marriott rotates various images every few seconds and this one catches the Chiefs logo on display. 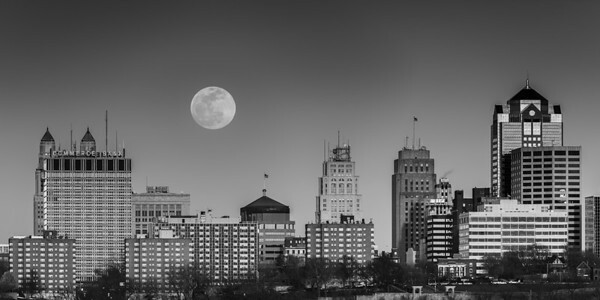 Full moon hovers over Kansas City. Photo taken with 400mm lens which makes the moon look relatively large. 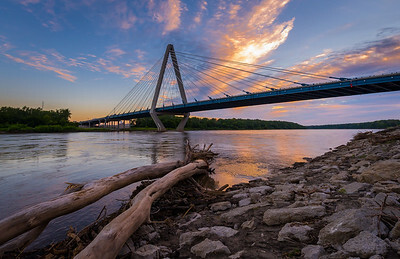 Sunrise at the Kit Bond Bridge just north of Kansas City, MO. At first, I tried to take a picture avoiding this driftwood. Then I decided to embrace the driftwood and decided it made for a more interesting photo. 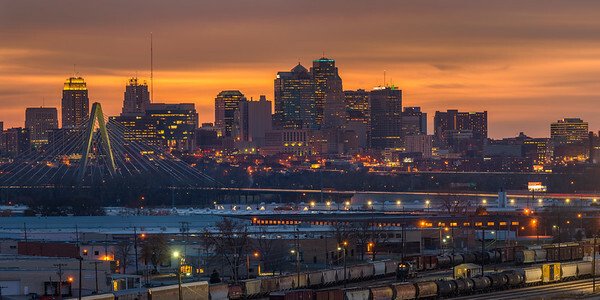 Skyline of Kansas City as seen from North Kansas City. 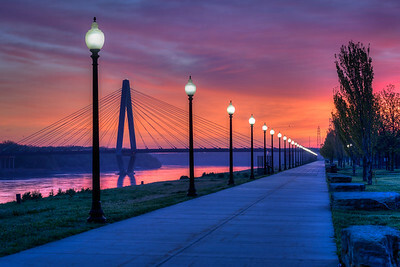 The Kit Bond bridge is visible on left side and the rail yard is on the right. 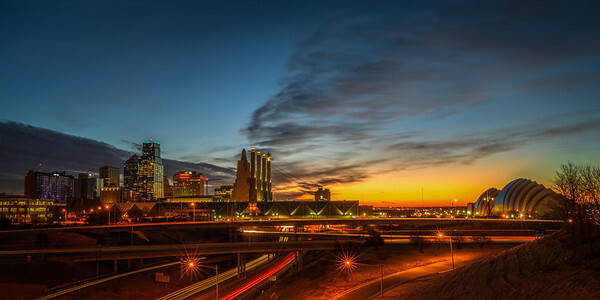 KC Skyline just before sunrise. 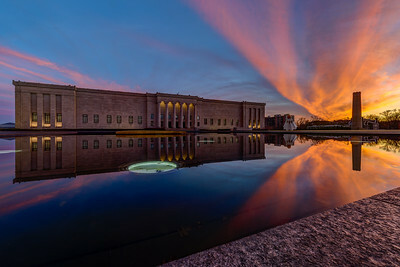 Nelson Atkins museum and reflecting pool just after sunset. 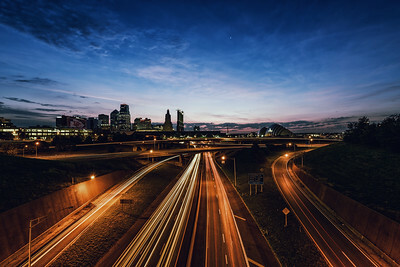 Pre dawn photo of Kansas City skyline. 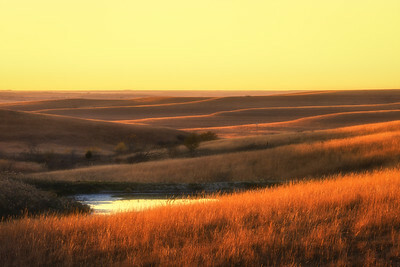 Flint Hills just before sunset showing off the beautiful rolling landscape. 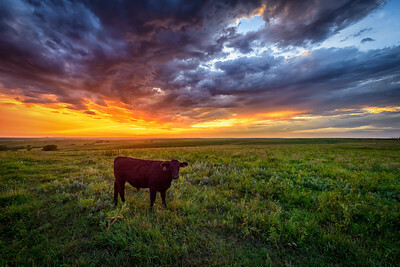 A cow takes in a terrific sunset in the Flint Hills of Kansas. 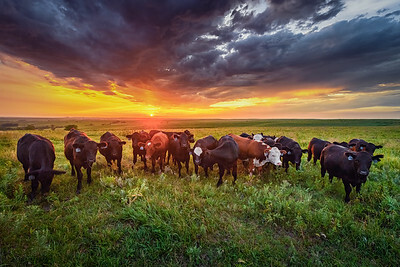 Scene just after sunset in the Flint Hills of Kansas. 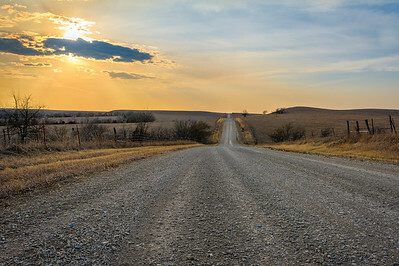 An up and down road takes one across the Flint Hills of Kansas. 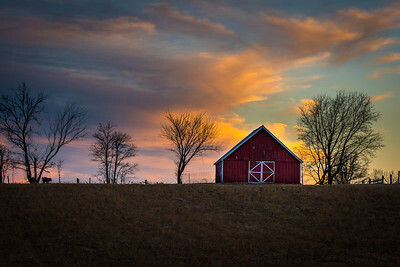 Red barn in Platte County Missouri just before sunset. 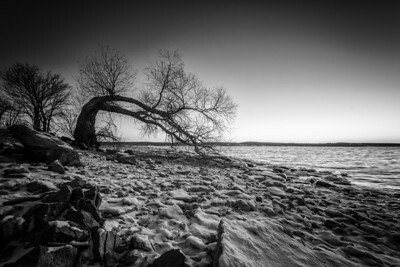 Winter scene at Perry Lake, Kansas. 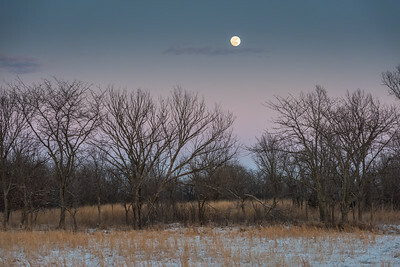 Full Moon rises over the trees near Perry Lake, Kansas. 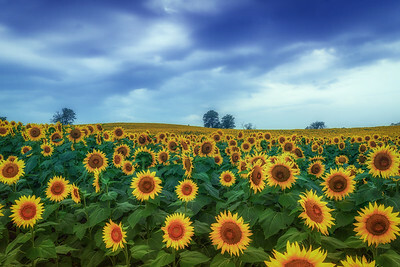 Sunflower fields on a cloudy day. 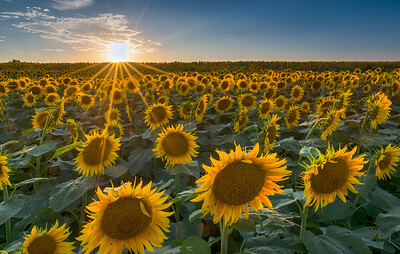 The sunflowers are plentiful in late summer around Kansas. 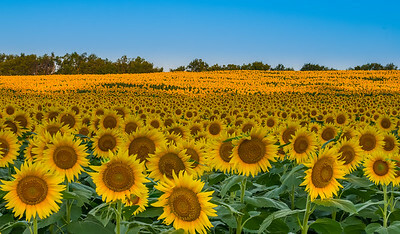 Acres and acres of sunflowers at Grinter's Farm in Kansas.